Exotic Asia presents a wealth of mouthwatering fare that promise to tickle, tease, tantalise and tempt your tastebuds…which makes it the perfect destination for a foodie bucket list. When a dish wins a poll titled “Should chili crab be the national food of Singapore?“, you know it definitely earns a spot on any foodie bucket list. The name of the dish is slightly misleading – it’s not as spicy as it sounds. In fact, the sauce contains a hint of sweetness, and makes a great dip for fried man tous (chinese buns). Yummy. This tasty sharing dish contains a ton of ingredients. Dig through the pan and you’ll find chicken, carrots, potatoes, onions, vegetables, glass noodles and rice cakes. The sauce is peppery, and brings heat to the palate. Just like the dak galbi, rice may be stirred into the jjimdak at the end of the meal – the flavours of the sauce makes a heavenly pairing with white rice. Described by BuzzFeed as “liquid tiramisu”, the egg coffee is equal parts drink and dessert. Rich, sweet and creamy, it’s a treat not to be missed. You’ll easily find this beverage in cafes throughout Hanoi. A plate of nasi lemak comes ladden with egg, sliced cucumbers, chunks of fried chicken, fried anchovies, toasted peanuts and sambal. The star of the show is the fragrant steamed rice – it gets its aromas as it is cooked with coconut milk and pandan leaf. 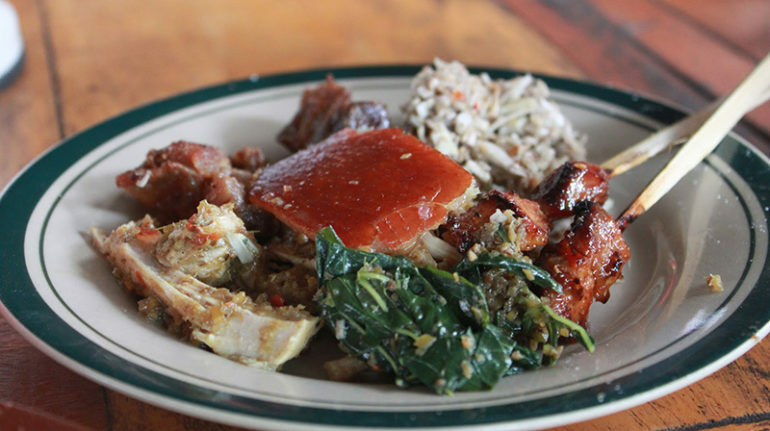 Babi guling, or suckling pig is a famed dish that’s highly sought-after. The pig is stuffed with tumeric, coriander seeds, lemongrass, black pepper and garlic before being spit-roasted, which lends the meat an appetising, peppery flavour. If you’re travelling to Bali, follow the advice of those who have gone on a quest for the best babi guling by checking out the gem of a find listed in the post. Chicken is cooked with the rice in preparing the Burmese biryani. This, along with the addition of ingredients like cashew nuts, raisins and peas sets this item apart from other types of biryani dishes. 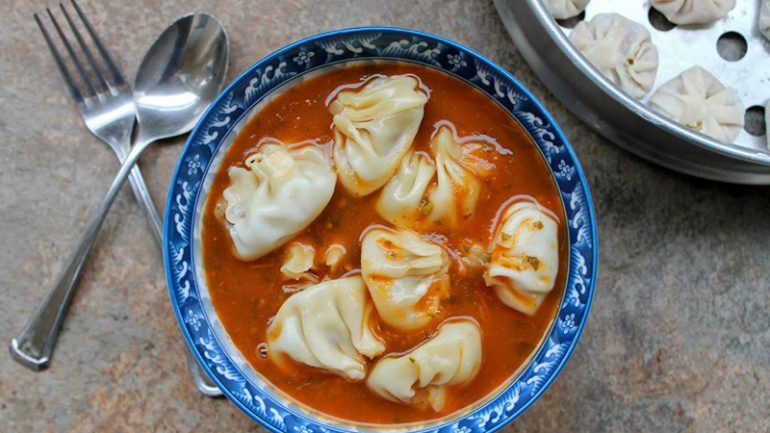 Fans of dumplings won’t be able to resist tucking into a plate of momo. The skin of the dumpling is made using white flour and water. Traditionally, fillings contained minced chicken or buffalo meat, but these days you’ll find a wide variety of ingredients – ranging from meat, vegetables, tofu, paneer and soft chhurpi (a type of local cheese) – used to make the fillings. The momo may be fried or steamed, and is eaten along with pickles. This pungent fruit emits a smell that you won’t forget. Some say that eating its flesh – which can be described as sweet and creamy – is not quite as bad as the smell of the fruit. Others absolutely can’t stand having the fruit – even in the form of ice cream or mousse, where its flavour and smell are considerably muted. Trying this fruit is a remarkable once-in-a-lifetime experience for some, so make sure you don’t miss it! Feasting on dishes with pungent aromas make for an unforgettable dining experience, so that’s why we’ve included yet another strong-smelling item to our foodie bucket list. It’s highly likely that you’ll smell this dish even before you come close to sighting it – that’s how strong the “aroma” is. 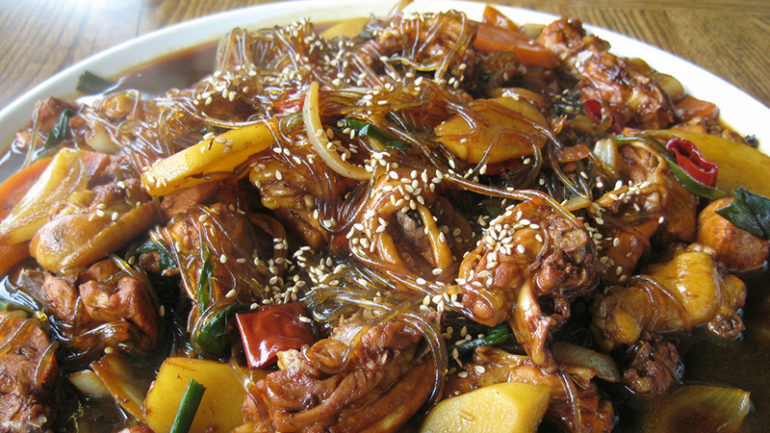 Braised, stewed or deep-fried, it may be served with pickled cabbage or bamboo shoots. Fans of this item will agree wholeheatedly with the golden rule: the stinkier, the better. 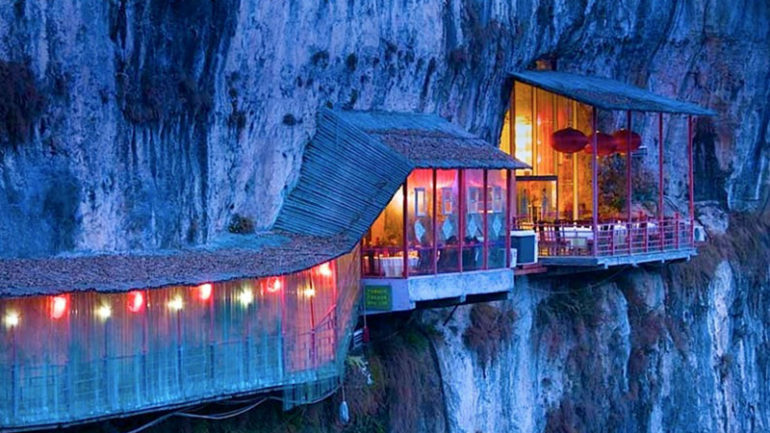 Thrill-seekers will relish the experience of dining at Fangweng Restaurant in Yichang, China. This cliff-hanging restaurant is built right into the face of a cliff, and sits dangling many metres above the ground. To arrive at the dining area, you’ll need to walk past a narrow walkway built along the cliff. Once there, settle down to tuck heartily into a wide selection of regional dishes. If you’re up for ending your meal on a hair-raising note, try out the restaurant’s bungee jungee facility. Beautiful views and delicious food are part of the experience of dining at Inthar Heritage House. Look forward to feasting on an array of fine Burmese fare, like the fermented tea leaf salad and shan noodles while you gaze out at picturesque Inle Lake. 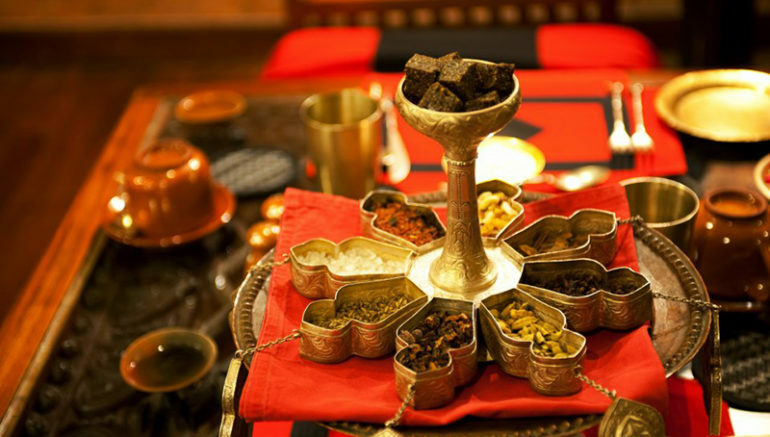 A meal at Krishnarpan is akin to experiencing an indulgent ritual feast enjoyed by the local communities in Kathmandu. Depending on the appetite of your travelling party, a meal here can range from six to twenty-two courses (perfect for a decadent post-hike dinner!). The ornate setting and friendly service adds on to the charm of this dining experience. Tuck into some of the tastiest plates of authentic, local fare when you dine in the homes of the locals. Think of this as AirBnb for foodie experiences: pick a city, choose a dining experience, await confirmation for the dates, and voila – you’re all set to enjoy a feast when you embark on your travel trip. Examples of dining experiences you can look forward to include a rooftop dining experience in Singapore, a Japanese tea ceremony and sweets making session in Tokyo or a farm tour and home cooking session in Hanoi.